Many of our national parks are beautiful places filled with wondrous natural beauty and wildlife. Many others tell our nation's story. Two-thirds of America's more than 400 national parks are sites dedicated to cultural and historical significance. Sites like Dr. Martin Luther King, Jr.'s birthplace in Atlanta and the Belmont-Paul Women's Equality National Monument in Washington, D.C. still reflect rich chapters of our past and can carry a special impact for visitors. These are places where people lived, ideas were born, and history was made. We believe Birmingham should join their ranks. Sometimes it's at the ordinary places, those that exist in every community, where the most extraordinary things happen. In 1963 in Birmingham, a public park, church and hotel, all within two city blocks of one another, were ground zero for some of the most transformative events of the 20th century. The vivid images and sounds from Kelly Ingram Park, 16th Street Baptist Church and the A.G. Gaston Motel reverberated around the world, across generational and racial lines, and changed the course of American history. Our nation's stories have chapters that are complicated and painful for us to confront today, such as the legacies of slavery and the discrimination of Jim Crow. But they still inform who we are today, and the experiences of those who came before us. And often, the most important places in these stories aren't grand and beautiful buildings, but simple and modest structures. For example, sites in Anniston, Ala., where Freedom Riders boarded buses and were later attacked for challenging segregation, tell an important story about our history and are being considered for national monument status. These too are worthy of saving. It is our hope that Civil Rights National Monument designations will ensure the preservation and interpretation of the powerful role Birmingham and the Freedom Riders played in the civil rights movement. We will inspire Americans to think deeply and collaboratively about inequalities and injustices in our society today. 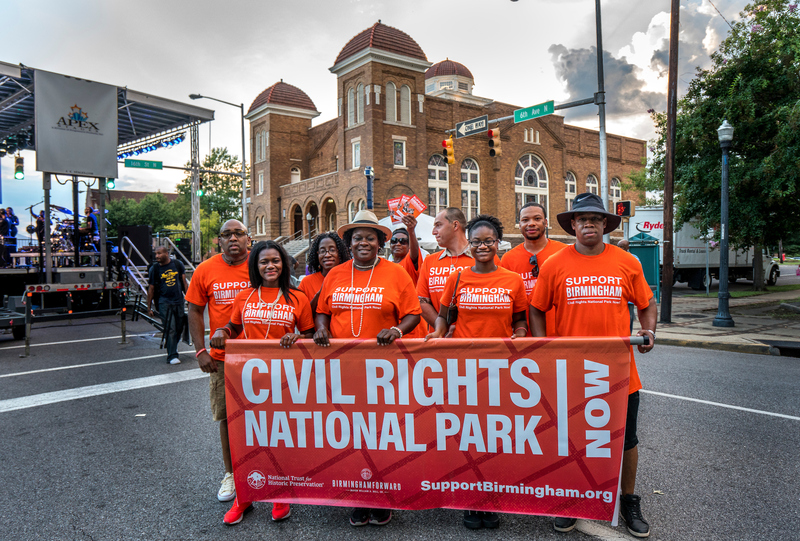 National monuments in Birmingham and Anniston would give us a place to reflect on how far we have come, and how far we still need to go. As Dr. King wrote in his famous Birmingham letter, "let us all hope that the dark clouds of racial prejudice will soon pass away and the deep fog of misunderstanding will be lifted from our fear drenched communities, and in some not too distant tomorrow the radiant stars of love and brotherhood will shine over our great nation with all their scintillating beauty." That is our goal, one we can only reach by reflecting and continuing on the long journey toward justice. President Obama has created important national monuments at Fort Monroe, Pullman, Chimney Rock, Harriet Tubman, Cesar Chavez and Stonewall Inn. There is another important place that needs this recognition and we hope our president will use his authority under the Antiquities Act to create national monuments in Birmingham and Anniston before he leaves office in January. These designations would be the capstone of the president's legacy to honor places that reflect America's full history, and would help all of us continue our march toward living up to our nation's promise.